High Performance Coaching is a science-backed, heart-driven approach to reaching external success and positive life outcomes like happiness, positive relationships, health, and confidence. The goal of the program is to help you master your mind, body, soul, day’s agenda, and relationships so that you can reach the next level of vibrancy, purpose, success and influence in life. This is about helping you reach high performance and your full potential in all you do. It’s about ditching the fear, fatigue, and frustration in your life so that you can live a more joyous, creative, loving, and remarkable legacy. This program was not only built for CEOS, Entrepreneurs, Athletes, Visionaries, Change-makers but everyday people in transition striving for a better life. You were created for greatness. I firmly believe that anyone can have, be, or DO anything they want in life and that all of us were born to live fully charged lives. A life that is filled with purpose, passion and meaning. But sometimes it can feel like we got lost along the way to fulfilling our potential. I can help you change your relationship to everything keeping you stuck right now so you can get back on track and THRIVE from the inside out. Uplevel every area of life so you feel massive amounts of vibrancy and freedom. Live a life full of meaning, purpose and impact. Create healthier habits that support your ultimate dream. Gain clear vision and goals so you are intentionally living on purpose daily. Bust through the blocks that have been keeping you stuck for years. Increase your focus and be massively productive so you can do what you want when you want to. Feel a greater sense of joy while making more sales and impacting others. Strengthen your ability to influence the people around you in a positive way. Build a foundation in your life that is sustainable and supports a higher level of prosperity for you to live life on your terms. I already know a few things about you. You want to achieve big things. To find meaning and value in the work you do. To feel excited about your life every single day. To have a greater sense of achievement and make more money. I am here to tell you that you can do big things, and earn far more, than you think. But in order to do it you have to commit to your dreams for real this time. This is your life in the making, are you ready to live a fully charged life full of joy, abundance and impact? A life that is built on your terms and allows you the freedom to do what you want when you want to? If the answer is YES than it’s necessary to take the first step towards your dreams. Hi I’m Tiffany Julie and I believe that every person is deserving of their dreams and is called to step up and be extraordinary. I’m here to tell you, your past stories and struggles don’t have to dictate your future of wanting MORE. I truly believe there is a NEXT LEVEL for all of us. I see you wanting MORE of the good life but in order to do that you have to make a decision that life is yours. To finally take the first step towards activating your full potential. In order to turn your dreams into a reality you’ve got to rise up and step into the highest version of you every single day. To transform into a high performer in ALL that you do and to become more focused, productive, influential, and successful to make it happen. I know that’s not an easy thing to do and most people are struggling more than they have to in these areas. This is exactly why I became a Certified High Performance Coach. Reality is we all have big goals and dreams but most people are drowning in stress, overwhelm, and uncertainty. The sad thing is that if they don’t figure out how to turn it around they’ll not only fail to accomplish their dreams but as the economy keeps getting better they’ll simply be left behind. Hi I’m Tiffany Julie, Certified High Performance Coach. On my 12-week High Performance Coaching Program, I will work one-on-one with you to break through your barriers and help you reach your highest potential and performance in all you do. So if you’re ready for more focus, more advanced strategies to better master your mind, body, and ability to be more productive and influential every day of your life, this is for you. “If you are looking to transform your business Tiffany is the woman to use. She not only delivers practical easy to implement strategies that immediately impact cash flow but does so in a playful loving way. “Tiffany is a wonder! She single handedly taught me the ins and outs of Facebook advertising allowing me to 10x my reach on the platform and has been invaluable in keeping me focused and on track toward my goals. She’s a force of nature who’s an incredible cheerleader, very savvy and insightful and very very caring. High Performance Coaching is a process created to explore all the ways you can reach heightened and sustained levels of performance and potential in your life. As a Certified High Performance Coach, I will work with you in this process through five key principles Clarity, Energy, Courage, Productivity and Influence. One personal call per week with me, your High Performance Coach. Sessions centered around these five key pillars of High Performance: Clarity, Energy, Courage, Productivity & Influence. 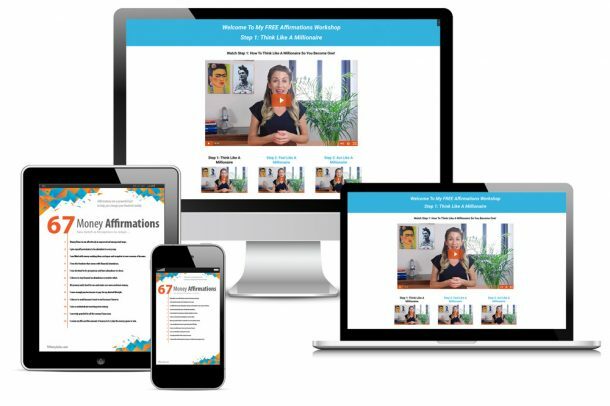 Over the next 12 weeks you will engage with 12 topics that will help you reach heightened and sustained levels of performance and potential in your life. I believe every business investment should be taken seriously, so I have provided a thorough overview of my High Performance Coaching one on one program as well as all of the topics we will explore. At this half way point in the program we now start to go deeper into the six pillars of high performance: your psychology, physiology, persuasive skills, presence, and purpose. Our goal in this session is to understand the success mindset in you. This questionnaire acts as an application for High Performance Coaching. If your application is successful, I will contact you to arrange a strategy session before committing to work together for 12 weeks. The strategy session is an introduction to High Performance Coaching during which we will review your answers to the questionnaire. I will typically explore how clear you feel about your overall life goals, whether or not you have the physical energy and mental stamina to perform your best, how confident and bold you are showing up in the world, what distractions or poor habits cause you to fall off course (and what routines keep you on track), and finally what you can do to better influence, lead and inspire your family, colleagues and those you serve. As mentioned above, if you appear to be a great fit for High Performance Coaching, I will get in touch with you to arrange a strategy session at a time that works for both of us. Looking forward to receiving your questionnaire!